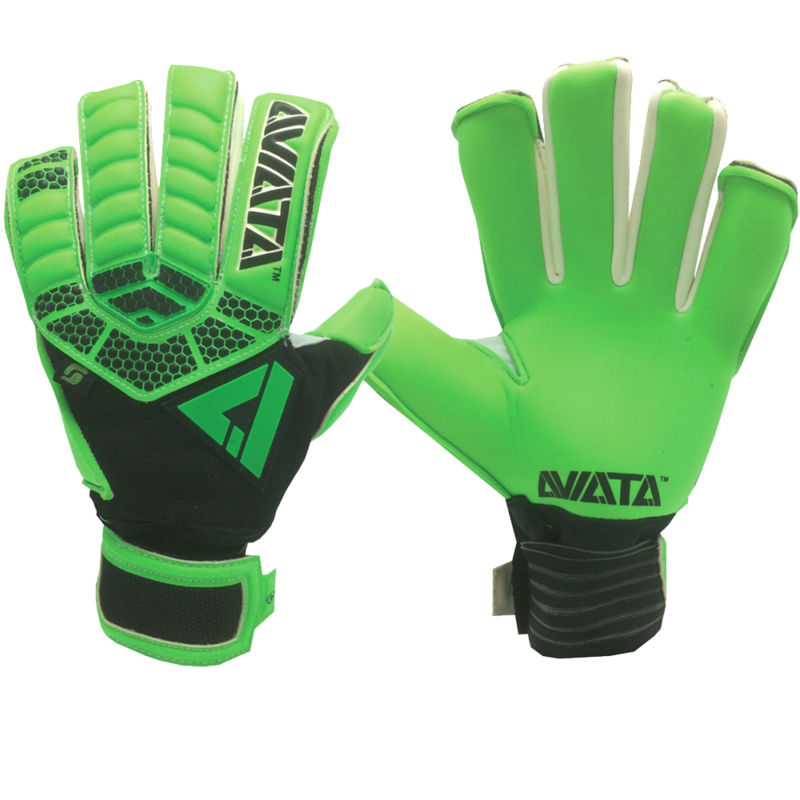 Aviata Goalkeeper Glove Closeout Sale. Green color. Size 10. 4mm Fluo Magnetik all weather contact latex with 4mm of backing foam. Yes, five finger removable spines. 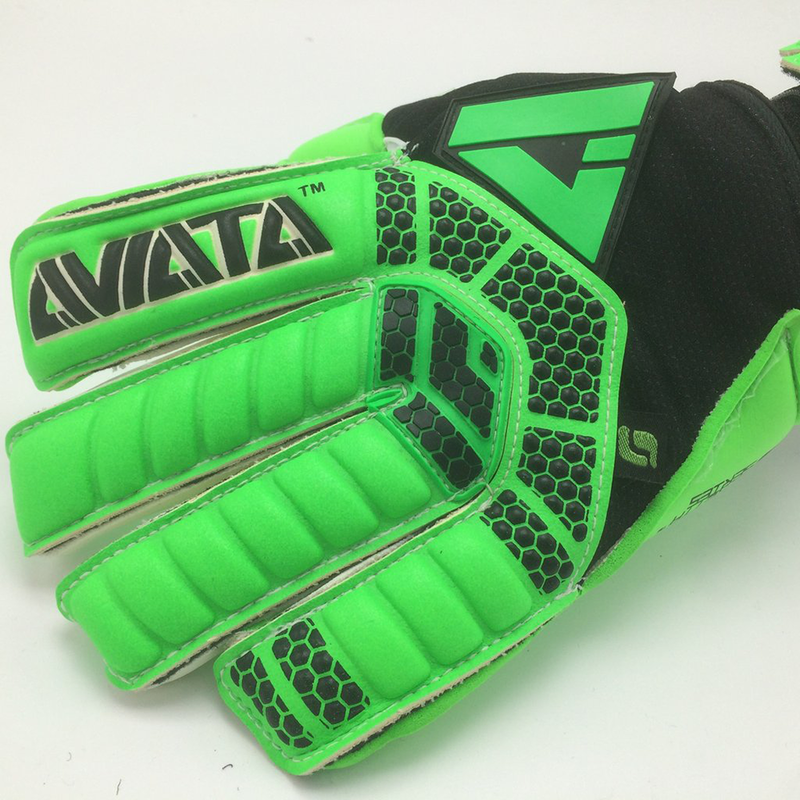 Aviata have improved their finger spine technology to offer better protection and feel. The spines now sit in a stitched pocket to keep them secure. 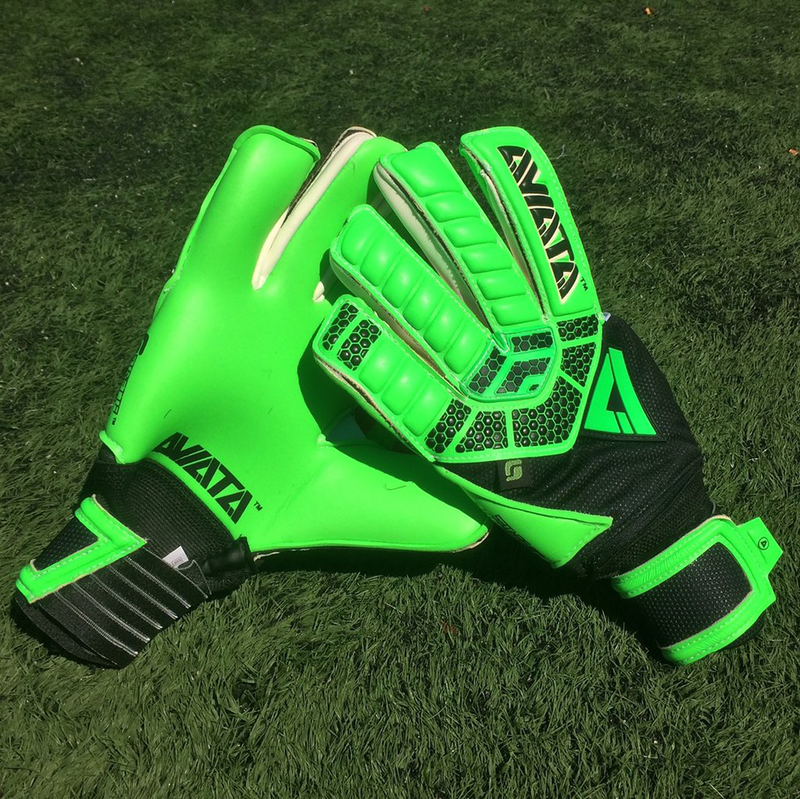 Aviata O2 Thermo-Control Material to help regulate hand temperature with German new-soft 4D embossed Flex Control & Punch Pad zone. Hybrid Negative/Roll outer Pro Cut with 2mm Latex Super Grip Gussets. Contour Side Control Wrap and Stabilizing Thumb Wrap Additions. All weather latex. Performs best when kept damp.